Anthony Larson, 8th grade science teacher in the Twin Cities Metro Area, Minnesota responds to our Issue 9 seed topic "Science teacher: conveyer of information or practitioner and mentor?" with his essay ﻿Teaching Science Through Curiosity and Discovery﻿. Check it out. 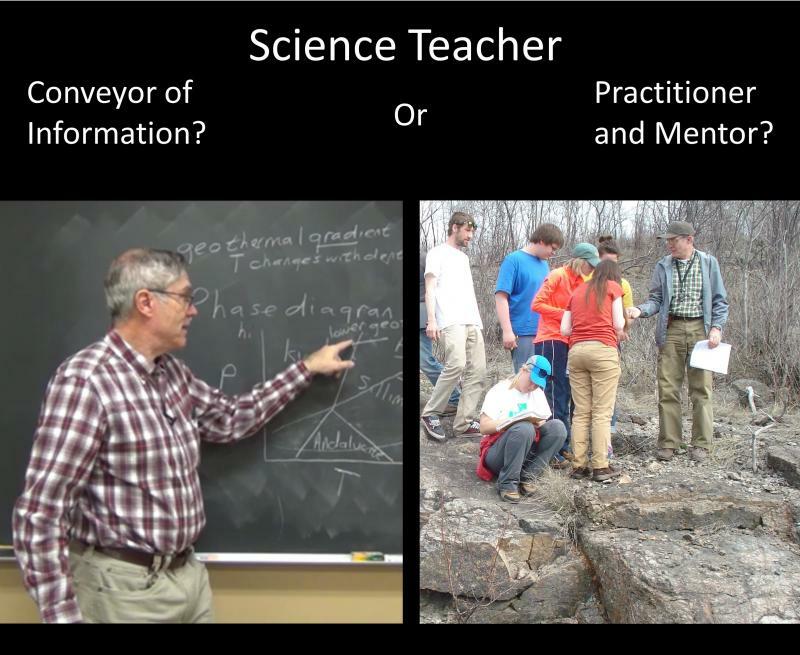 Science Teacher: conveyor of information or practioner and mentor? Topic: Science teacher: conveyer of information or practitioner and mentor? Teaching Science through Curiosity and Discovery--by Anthony Larson. Larson is a science teacher in Minnesota. ﻿﻿﻿Seed Thesis for ﻿"Science teacher: conveyer of information or practitioner and mentor﻿?﻿﻿"﻿ by Russ Colson. Colson is a professor of geology in Minnesota and editor of IES.